You’re beachbound with kids in tow — and kids require snacks. Keep your rest stops to a minimum for maximum shore time with these easy, portable kid-friendly snacks. The key with road-trip snacks is making sure you can dole them out to your kids (or they can serve themselves) without making a mess and requiring the driver pull over to vacuum out the floorboards at each exit. (Been there, done that.) These snacks can be divided into single-serve baggies or easily held in little hands. Pack extra for the adults in the car, too. 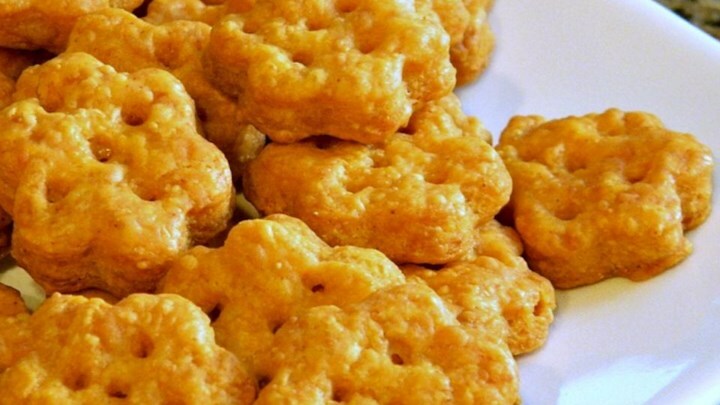 More: Check out our entire collection of road trip snack recipes. When they taste the cheesy flavor in these homemade crackers, your kids will hand over the box of sad, stale, store-bought crackers for good. Plus, because they’re homemade, you can feel confident you know precisely what your kids are munching on while they’re watching TV as you cruise along the interstate. Don’t let the name fool you — these muffins are great for snackers of all ages. Indeed, any type of muffin is a great road-trip snack because they stay tender and soft in a zip-top bag and don’t create a mess. 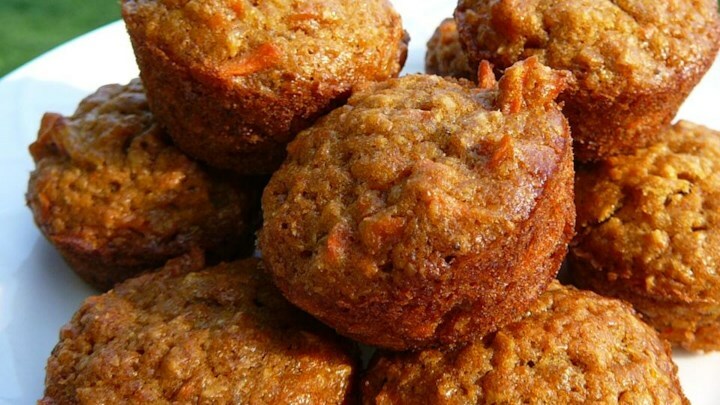 As a parenting bonus, you can also sneak some vegetables into each muffin for filling fiber and added nutrition; this one hides some carrots. 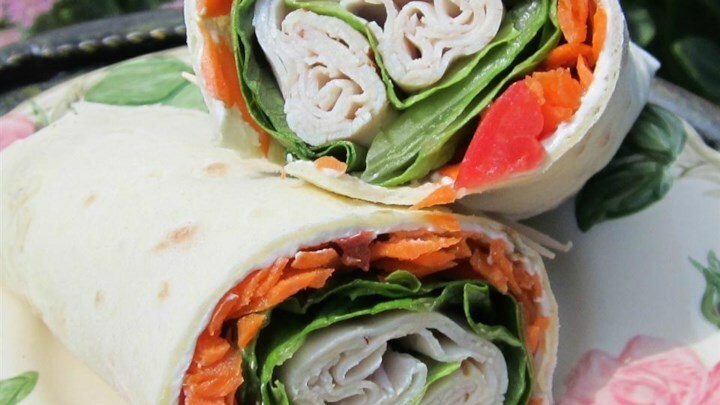 Keep a small cooler in the car, and put these meat-and-cheese wraps in it for a fast snack when you’re flying down the road. Use a combination of ingredients your kids will love. The recipe calls for turkey and cream cheese, but kids may also love hummus or another bean dip as a creamy spread in place of the tangy cheese. These energy bites may feel like a dessert to any kid with a bit of a sweet tooth, but you can be happy knowing they’re filling up on hearty oats, protein-rich peanut butter, and heart-healthy flax seed. The hint of sweetness from chocolate chips and honey will mask the good intentions of this portable snack. This is a great snack to make while you’re packing and cleaning the house before you leave for your trip. That’s because fruit leather in a time-intensive snack (it needs five to six hours in a low-temp oven), but it’s entirely hands-off once it’s baking. 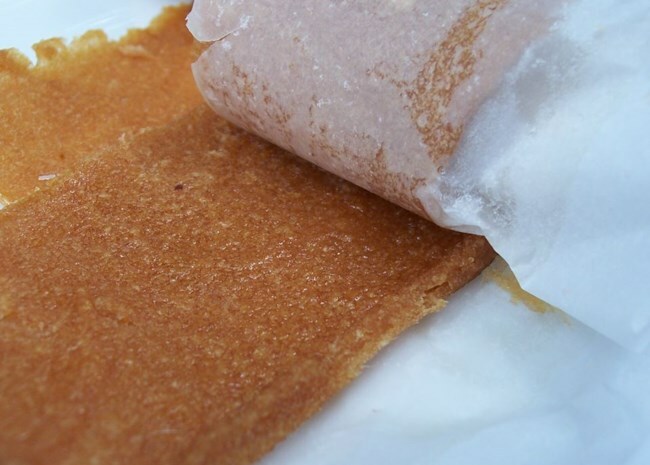 Make a few pans at once for the entire trip, and roll them up in parchment paper to keep them easy — and fun — to unroll at snacktime. 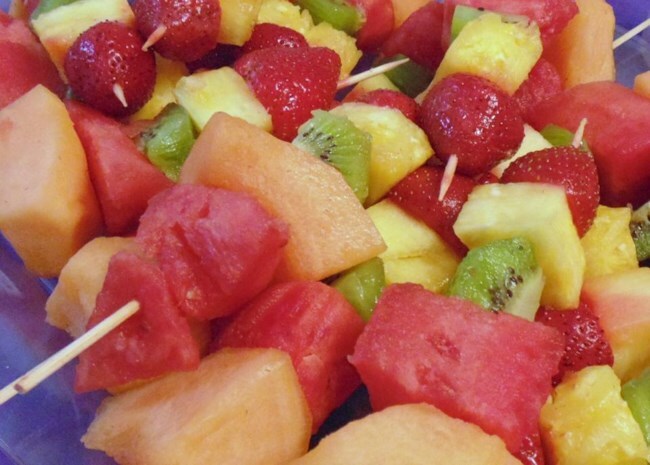 Keep fresh fruit pieces from slipping and sliding all over seats by securing them with a skewer. Kids can pluck each piece from the strand just before popping it into their mouth. If the youngster is too little for a skewer, you can still make them on the stick, but drop the pieces into a snack cup before handing to your little one. For everyone else, the skewer is an easy way to keep fruit contained. Check out our entire collection of snack recipes.